G2E Asia 2019 is right around the corner. 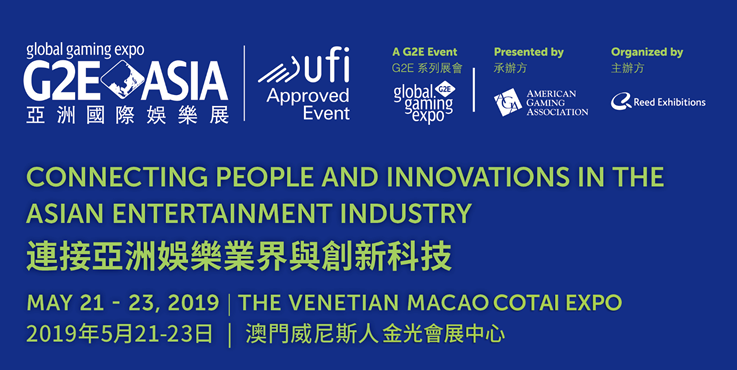 We look forward to seeing you at The Venetian Macao on May 21-23, 2019. - Conference Badges - Early Bird Discount is available until April 15. - Exhibit Hall Badges - get a complimentary pass and save HKD 100! Book these hotels through G2E Asia to enjoy an e discount!